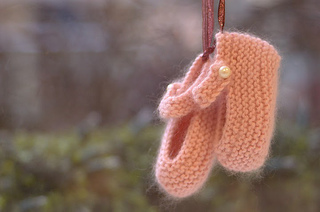 These soft-and-silky booties are as cute as a classic pair of Mary Janes. 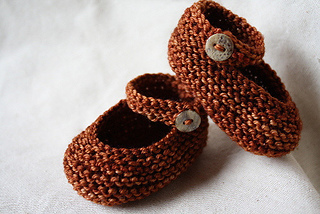 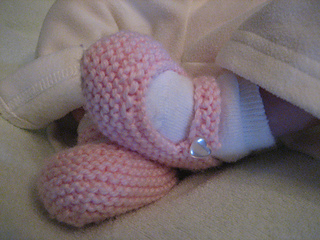 Knit in the softest cashmere blend, they make a perfect foot covering for baby. 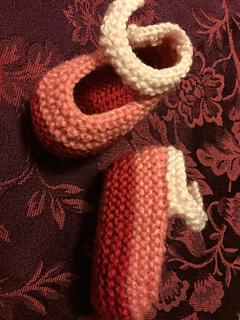 Booties are knit flat and seamed.